Discussion in 'SWNN News Feed' started by SWNN Probe, Jan 28, 2019. We've known that Episode IX is going to wrap in February since late last year, but with Daniels being done, it is possible the end offilming may be closer than we think. The door is certainly open for him to return in future movies, should Threepio be needed, but for now, Episode IX is going to serve as a goodbye to the original, iconic Star Wars storyline in what should be a memorable finale. We've known that Episode IX is going to wrap in February since late last year, but with Daniels being done, it is possible the end of filming may be closer than we think. Or maybe C3PO finally is destroyed (RIP). of course he does !!! They're not going to destroy 3P0 and R2. Hope it was a good day & new memories to create for this ST finale. 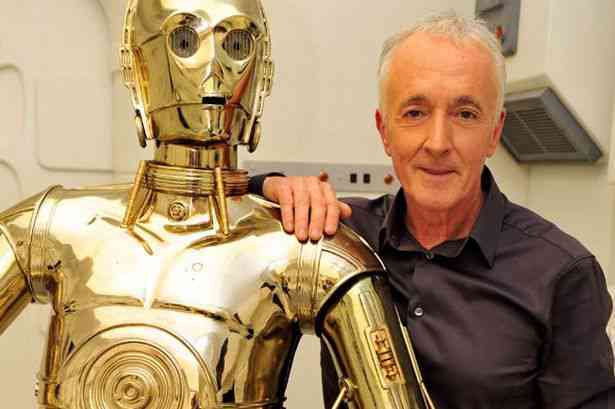 Is Anthony Daniels a bit oif a Rebelscum?